Terica Cox manages her Texas clinical teams on one key principle: “I tell them that we are all one fall away from being a patient ourselves and we should treat patients the way we would want to be treated,” she says. It comes in part from personal experience. A lifelong Dallas resident, Cox says her mother suffered a bout of sickness and had to have several emergency surgeries. “Healthcare intrigued me. I wanted to learn more about it and how I could help my mom in her time of need,” she says. That led her to study at PCI Health Training Center in Dallas and become a certified medical assistant (CMA). 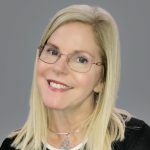 She worked in a variety of specialties including occupational medicine, cardiology, labor and delivery, and internal medicine, before finding pain management. “I love patient care. I love specialty, so anything that’s a specialty allows me to learn new things. I like to learn new things all the time,” she says. She joined PPOA in November 2014, in a position that was then known as a clinical coordinator, in the Grapevine location, now closed. She was later promoted to practice manager of the North Dallas clinic, and assumed her regional manager position in 2016. She now oversees practice managers in Carrollton, Desoto, Frisco, McKinney and Richardson, plus two Capstone Pain and Spine partner clinics. 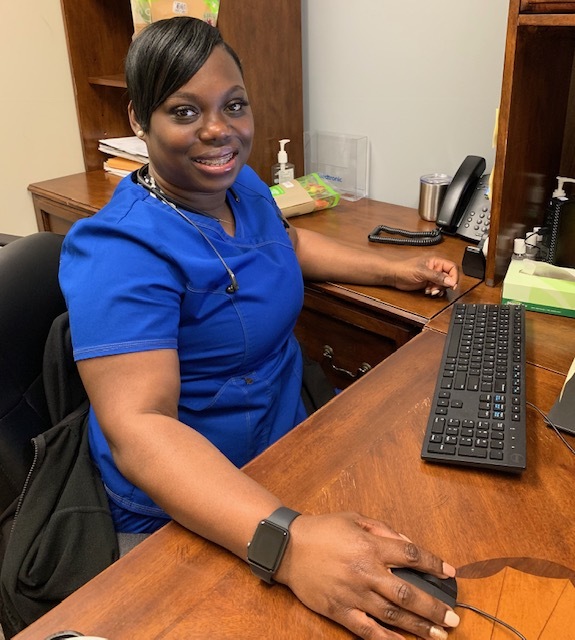 For Terica Cox, that means not only making sure patients receive excellent health care, but also asking them about their day, or a recent vacation, or their children. She embodies the patient-focused concept of AIDET and instills it in the people she supervises. She has been known to invite team members for holiday dinners, check on those who are sick, or just call and say hello to someone she hasn’t heard from in a while. As you might imagine, family is everything to Cox. She and her husband have two daughters: Nature, who turns 24 this year, and Breyanna, 11. Nature is following in her mother’s footsteps, taking classes toward her nursing degree. Mother and daughter are study partners, too: Cox is now working on her Bachelor of Science in Nursing degree at West Coast University in Dallas. “I look forward to continuing to learn and grow,” she says.